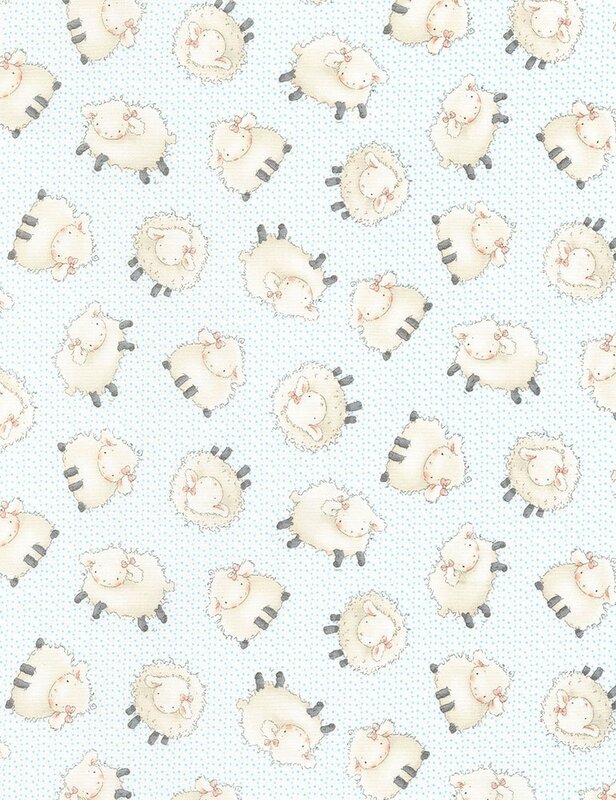 Pale blue with darker blue dots and tossed sheep. From the Cotton Tale Farm collection by Bunnies by the Bay for Timeless Treasures. 100% cotton flannel. 43"-44" wide.